A stunning debut novel in which a single mother reconstructs her teenaged daughter’s life, sifting through her emails, texts, and social media to piece together the shocking truth about the last days of her life. Litigation lawyer and harried single mother Kate Baron is stunned when her daughter’s exclusive private school in Park Slope, Brooklyn, calls with disturbing news: her intelligent, high-achieving fifteen-year-old daughter, Amelia, has been caught cheating. Kate can’t believe that Amelia, an ambitious, levelheaded girl who’s never been in trouble would do something like that. But by the time she arrives at Grace Hall, Kate’s faced with far more devastating news. Amelia is dead. Sifting through Amelia’s emails, text messages, social media postings, and cell phone logs, Kate is determined to learn the heartbreaking truth about why Amelia was on Grace Hall’s roof that day-and why she died. 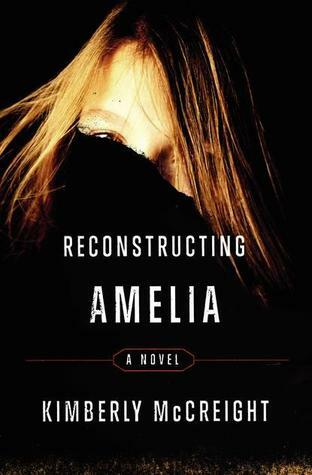 Told in alternating voices, Reconstructing Amelia is a story of secrets and lies, of love and betrayal, of trusted friends and vicious bullies. It’s about how well a parent ever really knows a child and how far one mother will go to vindicate the memory of a daughter whose life she could not save. I heard lots of good thing about this book, and though the subject is very sad, I decided to read it. This was a completely heart wrenching story for me. As a mother of two teenagers, the premise of a teenager throwing themselves off of the roof of their school, after being accused of plagiarism scares the hell out of me. This is the story of successful lawyer and single mom kate, and also that of her daughter, Amelia. As the book begins, Amelia has gotten into trouble at school and Kate must leave a very important meeting to go pick her up. When Kate arrives at the posh private school in Brooklyn, police are everywhere. Kate soon learns that it seems Amelia, distraught over her suspension, has committed suicide by jumping off the roof of the school. As Kate mourns and attempts to pick up her life, she begins to doubt that Amelia really jumped, that she might have been pushed. Kate delves into Amelia’s life, discovering there was much about her daughter that she didn’t know. This was a very quick read and I would recommend it. I have heard it compared to Gone Girl, which I am not too sure about. I t did have a little element of mystery, but we already know WHAT happened to Amelia, just not HOW. The hard part of this book is that to find the answers, we also feel Kate’s pain. When she discovers things that are going on at Amelia’s school it sent shovers down my spine. Parents try to raise their kids and eventually need to let them stand on their own. The difficult phase of this is usually the teen/high school years, as children become adults and make choices and decisions for themselves. We know they will make good and bad ones, and try to help them navigate these hard times, all the while being less involved in their lives. 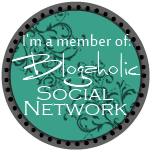 I would love to hear your thoughts- please leave a comment! I’ve been meaning to check this one out. Great review! I’ve never heard of this book, but I love the premise. I’m definitely going to look it up, Kerri. Thanks for the review. This one has been sitting on my Kindle since last summer, and I still really want to read it! I need to read this still!